performance metrics include accuracy, precision/repeatability, turndown ratio, resolution, ease of installation, straight pipe run requirements, on-going operations and maintenance, and costs. Accuracy is the difference between a measured value and the actual value. No flowmeter is 100% accurate and most manufacturers provide a range of accuracies in their product line - tighter accuracy requirements are typically more expensive and may also be more restrictive to specific applications. The precision or repeatability of a measurement entails the ability to reproduce the same value (e.g., flow rate) with multiple measurements of the same parameter, under the same conditions. The turndown ratio refers to the flow rates over which a meter will maintain a certain accuracy and repeatability. For example, a steam flow meter that can measure accurately from 1,000 pounds per hour (pph) to 25,000 pph has a turndown ratio of 25:1. The larger the turndown ratio, the greater the range over which the meter can measure the parameter within the accuracy stated. The resolution is the smallest increment of flow that can be incrementally registered by the meter. For example, a water meter designed for a small diameter pipe may be able to provide a resolution of 100 pulses per gallon (or more) as a signal output, but a meter designed for a larger pipe or higher maximum flow may only be able to provide 1 pulse per 100 gallons. Further, a very large flow meter may only be able to provide 1 pulse per 1000 gallons. The metering system may have limitations with regard to peak signal frequency or minimum time between pulses to properly register the data signal. Select make-and-model decisions considering size and weight constraints, specific electrical and communications needs, and the overall environment the flowmeter will operate in. Applicable to some types of fluid (gas, liquid and steam) flowmeters, straight-pipe run requirements relate to the length of unobstructed straight pipe required leading up to and immediately following the flow meter’s location. Obstructions in the fluid flow (such as elbows, tees, filters, valves, and sensor fittings) cause changes in the flow pattern (flow regime and velocity profile). Straight-pipe runs allow the flow pattern to normalize/stabilize making measurements by velocity-type and differential-pressure-type flow meters less prone to measurement error. 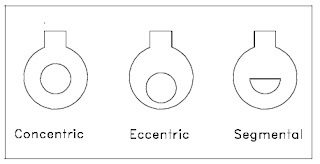 Straight-pipe run requirements are usually expressed in terms of the number of pipe diameters. The straight pipe requirement is in addition to the length of the flowmeter itself. The straight-pipe run requirements can be reduced with the addition of flow straightening or flow conditioning devices installed upstream. The lowest cost flow metering technology may not be the best choice if it has high associated maintenance costs (e.g., frequent service, calibration and recalibration, sensor replacement). As with most capital purchases, a life-cycle cost approach (including all capital and recurring costs) is recommended for decision making. In some situations, the cost to install a flowmeter can be greater than the capital cost; this can be true where system shutdowns are necessary for flowmeter installations, or where significant redesign efforts are needed to accommodate a flowmeter’s physical size, weight, or required connection. In these cases, decision makers should consider alternative technologies that may have a higher capital cost but a much lower installed cost. A good example of this is the use of non-intrusive flow metering technologies (e.g., ultrasonic flowmeters) that typically have a high capital cost but often a significantly reduced installed cost. It is recommended that meters be installed with isolation valves or switches making it easier to remove, replace, or service the meter in the future. Reprinted and abstracted from US Department of Energy paper titled "Metering Best Practices: A Guide to Achieving Utility Resource Efficiency, "
Water is commonly measured and sold in volumetric measurements, which allows for lower-cost metering options. 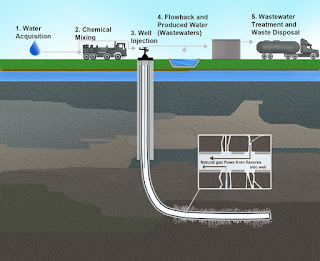 The specific measurement technology chosen will depend on a number of factors including, but not limited to, current design, budget, accuracy requirements, resolution, minimum flow rate, potable versus non-potable (or at least filtered versus non-filtered water), range of flow rates, and maximum flow rate. Nutating-disk flow meters are the most common meter technology used by water utilities to measure potable-water consumption for service connections up to 3-inch. 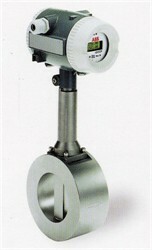 The nutating-disk flow meter consists of a disk mounted on a spherically shaped head and housed in a measuring chamber. As the fluid flows through the meter passing on either side of the disk, it imparts a rocking or nutating motion to the disk. This motion is then transferred to a shaft mounted perpendicular to the disk. It is this shaft that traces out a circular motion – transferring this action to a register that records flow. There are a variety of differential pressure devices useful for water metering; two of the more common devices include orifice flow meters and venturi flow meters. The orifice element is typically a thin, circular metal disk held between two flanges in the fluid stream. The center of the disk is formed with a specific-size and shape hole, depending on the expected fluid flow parameters (e.g., pressure and flow range). As the fluid flows through the orifice, the restriction creates a pressure differential upstream and downstream of the orifice proportional to the fluid flow rate. This differential pressure is measured and a flow rate calculated based on the differential pressure and fluid properties. The venturi flow meter takes advantage of the velocity-pressure relationship when a section of pipe gently converges to a small-diameter area (called a throat) before diverging back to the full pipe diameter. The benefit of the venturi flow meter over the orifice flow meter lies in the reduced pressure loss experienced by the fluid. The velocity measurement technologies described in this section include the turbine flow meter, vortex-shedding flow meter, and ultrasonic flow meters. There are two different types of ultrasonic flow meters, transit-time and Doppler-effect. The two technologies use ultrasonic signals very differently to determine fluid flow and are best applied to different fluid applications. Transit-time ultrasonic flow meters require the use of two signal transducers. Each transducer includes both a transmitter and a receiver function. As fluid moves through the system, the first transducer sends a signal and the second receives it. The process is then reversed. Upstream and downstream time measurements are compared. With flow, sound will travel faster in the direction of flow and slower against the flow. Transit-time flow meters are designed for use with clean fluids, such as water. Doppler-effect ultrasonic flow meters use a single transducer. The transducer has both a transmitter and receiver. The high-frequency signal is sent into the fluid. Doppler-effect flow meters use the principal that sound waves will be returned to a transmitter at an altered frequency if reflectors in the liquid are in motion. This frequency shift is in direct proportion to the velocity of the liquid. The echoed sound is precisely measured by the instrument to calculate the fluid flow rate. Because the ultrasonic signal must pass through the fluid to a receiving transducer, the fluid must not contain a significant concentration of bubbles or solids. Otherwise the high frequency sound will be attenuated and too weak to traverse the distance to the receiver. Doppler-effect ultrasonic flow meters require that the liquid contain impurities, such as gas bubbles or solids, for the Doppler-effect measurement to work. One of the most attractive aspects of ultrasonic flow meters is they are non-intrusive to the fluid flow. An ultrasonic flow meter can be externally mounted to the pipe and can be used for both temporary and permanent metering. 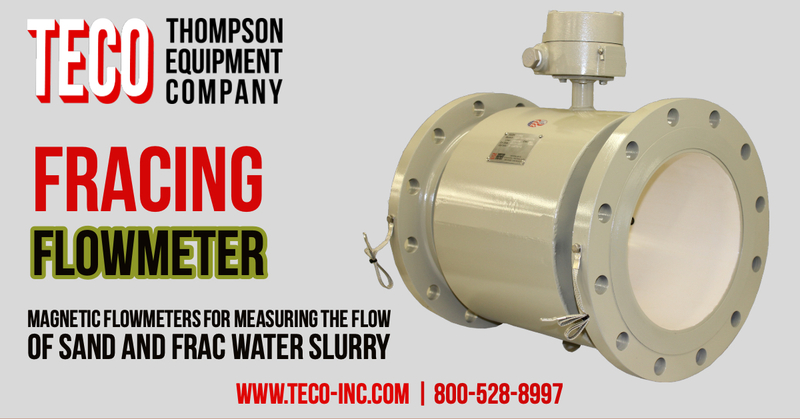 For more information on any flow application, visit http://www.teco-inc.com or call (504) 833-6381. Natural gas is a hydrocarbon gas mixture consisting primarily methane, but includes a host of other chemical components. Accurate natural gas flow measurement usually requires the measurement of the fluid’s temperature and pressure in addition to flow. Additional constraints on natural gas measurement may include the physical space available or possibly configuration and weight of the metering system. Some of the fluid metering technologies require specific lengths of pipe, both upstream and downstream of the meter for proper function. Before any technology decisions are made, discussions with equipment vendors and/or design engineers are recommended to ensure proper technology selection and installation design. 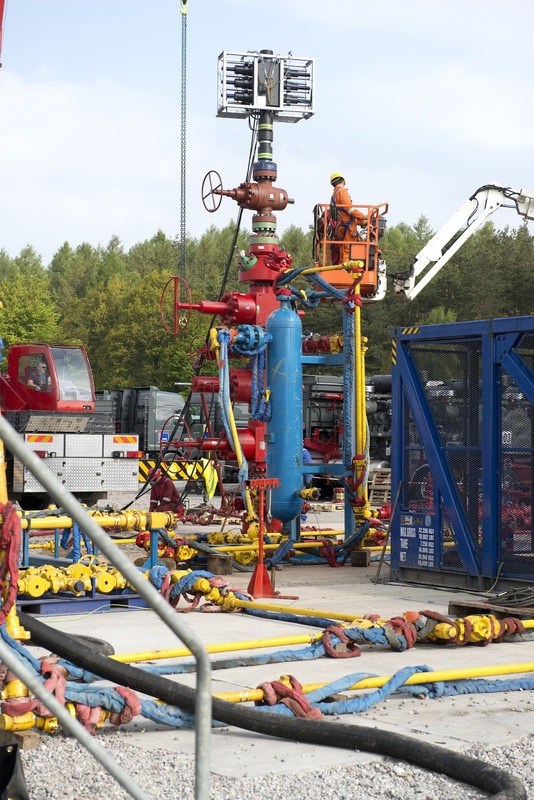 Depending on the application, flow rate, installation access, and desired accuracy, there are a number of technology options for natural gas metering. In general, measurement of natural gas volumetric flow rate is represented in standard cubic feet per hour (scfh) or per minute (scfm). The actual mass of gas flowing past a point of measurement changes with its temperature and pressure. 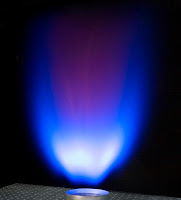 Density changes resulting from temperature and pressure differences can result in differences between the energy content of similar volumes of the gas. To equalize the effect of density variations when metering gas, conditions are referenced against standard temperature and pressure conditions, hence standard cubic feet (scf) instead of actual cubic feet (acf). Gas flowmeters must compensate for density differences between standard conditions and actual conditions to accurately define standard flow rates. In most applications, gas flowmeters are installed downstream of pressure regulation devices and the meters are then calibrated to that pressure. Natural gas meters may include options for temperature and pressure compensation. A positive displacement meter functions by the fluid physically displacing the measuring mechanism and this displacement becomes the metered value. 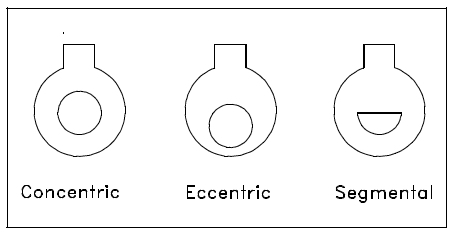 Of relevancy to natural gas measurement, the two predominant technologies are the diaphragm meter (most common) and the rotary meter. In each case, the volume of gas for measurement physically impinges on a measuring element (flexible diaphragm or rotary blower) to increment a recording dial or other output. 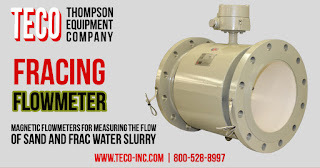 The primary advantage of positive displacement flow meters is there are no straight-run piping requirements to establish a flow pattern that can be accurately metered. The primary disadvantage of positive displacement meters is higher pressure drops experienced across the meter at peak flow rates. 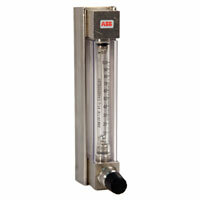 There are multiple types of differential pressure meters: orifice flow meter, venture flow meter, and annubar flow meter. All differential pressure meters rely on the velocity-pressure relationship of flowing fluids for operation. The venturi flow meter takes advantage of the velocity- pressure relationship when a section of pipe gently converges to a small-diameter area (called a throat) before diverging back to the full pipe diameter. The benefit of the venturi flow meter over the orifice flow meter lies in the reduced pressure loss experienced by the fluid. The annubar flow meter (a variation of the simple pitot tube) also takes advantage of the velocity-pressure relationship of flowing fluids. 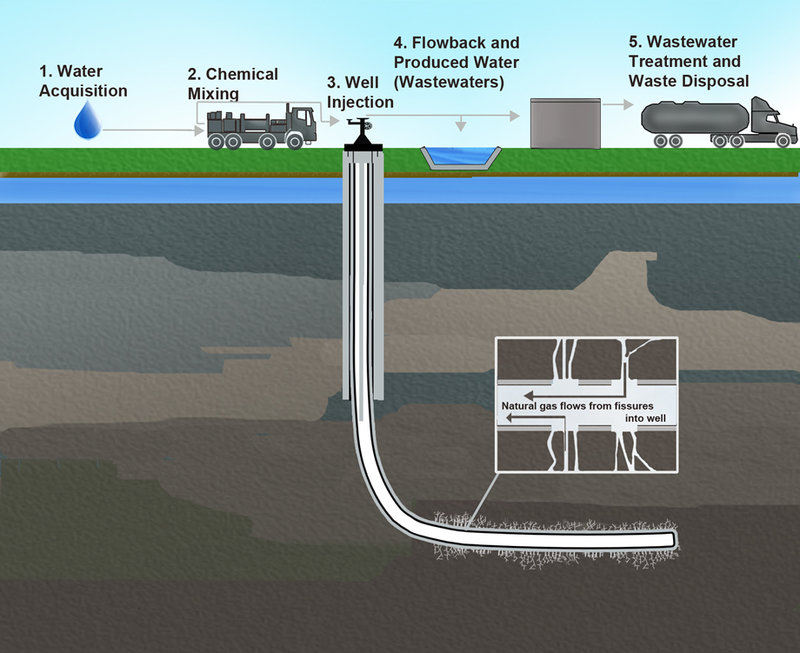 The device causing the change in pressure is a pipe inserted into the natural gas flow. There are multiple types of velocity meters: turbine flow meter, vortex-shedding flow meter, and fluid oscillation flow meter. Velocity meters determine fluid flow by measuring a representation of the flow directly. 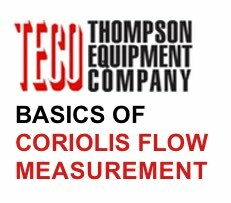 Because the fluid’s velocity is measured (i.e., not the square-root relationship to determine velocity as with differential pressure meters), velocity meters can have better accuracy and usually have better turndown ratios than other meter types. A fluid oscillation flow meter uses sensor technology to detect gas oscillations, which corresponds to the flow rate through the meters internal throat design.